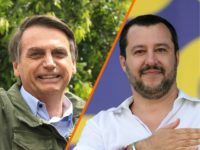 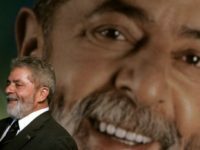 Italian deputy prime minister Matteo Salvini congratulated Jair Bolsonaro for his election victory in the presidential race on Sunday, celebrating that the Bazilian people had joined other nations in voting out leftist governments. 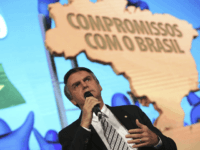 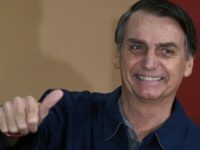 Communist Party authorities fear the election of conservative firebrand Jair Bolsonaro in Brazil’s presidential race this weekend following his remarks warning against Chinese investment, Reuters reported. 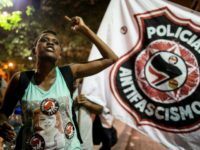 Fernando Haddad, the socialist Workers’ Party (PT) candidate for president in Brazil, made his first public act since securing a spot in this month’s run-off election a visit to prison on Monday, where PT leader Luiz Inácio Lula da Silva is serving a 12-year prison sentence for corruption. 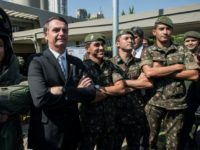 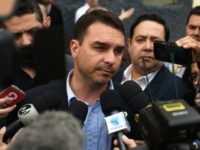 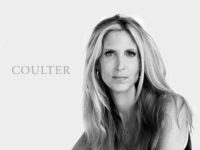 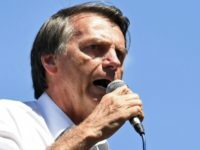 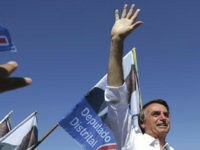 The son of Brazilian presidential frontrunner Jair Bolsonaro gave an interview with the newspaper O Globo on Monday, where he discussed the possibility of expanding nationwide gun rights in a similar way to the United States. 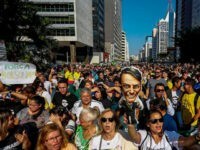 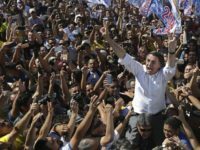 Thousands of left-wing protesters took the streets of dozens of cities across the country Saturday to oppose Brazilian presidential frontrunner Jair Bolsonaro, triggering similarly populated rallies in support for the candidate nationwide on Sunday.